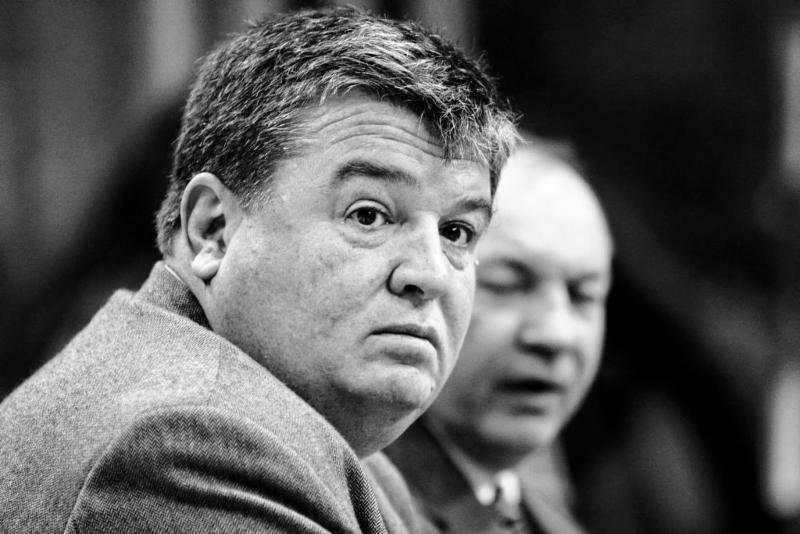 OTTAWA, ON – The Canadian Lacrosse Association (CLA) is proud to announce that the late Dave Huntley, a man who dedicated his life to growing the sport of lacrosse and the Canadian national team program, has been selected as this year’s recipient of the Lester B. Pearson Award, one of the highest honours bestowed by this country’s lacrosse community. The Lester B. Pearson Award, which has been handed out 22 times since its creation in 1973, is presented by the CLA to an individual in recognition of their unselfish dedication and outstanding contributions of sportsmanship and distinguished leadership to the game of lacrosse and to the physical and mental development of young Canadians. Over the past four decades, Huntley, a native of Toronto, Ont., was a driving force behind the evolution of field lacrosse in Canada and the growth of the game – at the grassroots, high school, collegiate and professional levels – throughout North America. He was involved with the Canadian senior men’s field lacrosse team at every FIL World Championship since 1978, helping shape the national team program into an international powerhouse that has since captured three world titles. Huntley suited up as a player twice, bringing home gold in 1978 and bronze in 1982; roamed the sidelines as a coach from 1986 to 2010, winning gold on home soil in London, Ont. in 2006; and was the team’s general manager in 2014, responsible for selecting the coaches and players that would help win the country’s most recent gold medal. Huntley grew up playing box lacrosse but found his true calling in the field game. He was a standout midfielder at John Hopkins University, helping the Blue Jays capture the NCAA Division I national championship in 1978 and 1979. He was named a three time All-American and took home the McLaughlin Award as the nation’s top midfielder during his senior season. His tremendous technical knowledge of the game and his player-first coaching style helped him craft a successful career behind the bench and on the sidelines. He spent 10 seasons with a handful of National Lacrosse League franchises and coached Major League Lacrosse for eight seasons, capturing league titles with Baltimore in 2005 and Toronto in 2009. He also coached with Loyola University and the nationally ranked Calvert Hall High School in Maryland. While his personal accomplishments and accolades were numerous, Huntley will be most remembered for his good character and kind-hearted nature. He was a well-respected man who was extremely passionate about the game of lacrosse and cared deeply about the people that were involved with it. In winning the Lester B. Pearson Award, Huntley joins a group of distinguished past winners that includes fellow 1978 world championship gold medalist Stan Cockerton (2011) and a pair of volunteers that worked alongside him with the national team, Terry Lloyd (2015) and Stew Begg (2008). This is not the first time that Huntley’s contributions to the sport have been recognized. He was inducted into both the Canadian Lacrosse Hall of Fame and the US National Lacrosse Hall of Fame in 2011 and was also one of 55 members of the Canadian lacrosse community to receive a Queen Elizabeth II Diamond Jubilee Medal back in 2012. Huntley was also posthumously awarded the Spirit of Lacrosse Award, which is presented to a person who is very influential to their national team’s success, during this summer’s 2018 FIL Men’s Lacrosse World Championship in Netanya, Israel. Huntley was a teacher, mentor and had a positive impact on so many people in the lacrosse community. His legacy will continue to live on through the players, coaches and administrators that had the privilege of learning from him over the years, a list that includes long-time national team midfielder Geoff Snider. Despite his sudden passing in December 2017 at age 61, Huntley remained a key figure in the national team’s journey to the podium at this summer’s World Championship in Israel. His number 18 jersey, along with those of late national team goaltenders Kyle Miller (#35) and Chris Sanderson (#17), was showcased on Canada’s sideline during each game. This subtle tribute not only helped honour a man whose legacy runs deep within the global lacrosse community, it served as a reminder to those suiting for Canada that they were playing for a group of men who dedicated their lives to the sport. While the team did not achieve its ultimate goal – losing in heartbreaking fashion to the U.S. in the gold medal game – they played the entire tournament with passion and tremendous character, something that their long-time mentor would have surely been proud of. With his team’s loss still fresh on his mind, coach Mearns summed up the reciprocal impact his friend had on Canadian high-performance lacrosse with a few powerful words.